A full English. A cocktail of painkillers. Hair of the dog. Supposed hangover cures are plentiful, but if the Lancashire squad are looking for reinvigoration after celebrating their victory in the T20 Blast final on Saturday night, nothing quite refocuses the mind like a final push for promotion in the County Championship. Lancashire’s quest for the five points they need from their remaining three fixtures to guarantee an immediate return to the top flight begins on Tuesday at Canterbury when they take on strugglers, Kent. Ashley Giles’s men will be looking for much more than that, however, as they aim to maintain their lead over second-placed Surrey and add the Division Two trophy to their 2015 silverware haul. Kent’s season, meanwhile, has fizzled out with a whimper. Elimination at the quarter-final stage of both the Blast and, last week, the One-Day Cup put an end to any hopes of limited-over consolation for a four-day season that never got going. These two sides’ first meeting of this Championship season came in just the second round of matches and rather set the trend for their respective campaigns. Runs for Ashwell Prince and wickets for Kyle Jarvis allowed Lancashire to brush aside the visitors by nine wickets, with Kent’s batsmen unable to score the runs needed to compete. Since then, Prince has continued to dominate opposition attacks. His 1,315 runs at an average of 77.35 make him the division’s leading run scorer by nearly 400 runs. With support from the likes of Alviro Petersen, Karl Brown and wicketkeeper Alex Davies, Prince has ensured that Lancashire have amassed 51 batting bonus points, eight more than anyone else in the division and 30 more than Kent. Just as it was during that fixture at Old Trafford back in April, an inability to amass big totals has been at the route of Kent’s woes this season. 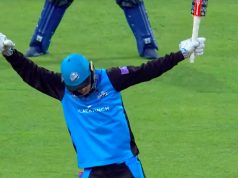 With five three-figure scores, Prince has scored as many Championship hundreds this season as Kent have managed as a whole. While Lancashire have ten players averaging over thirty with the bat in the tournament, Kent have just two in Joe Denly and captain Sam Northeast. Kent have fared better with the ball, with seamer Matt Coles equal second in the Division Two leading wicket-taker lists, with 57 dismissals, and Darren Stevens not far behind with 51. In fact, the side’s 38 bonus bowling points is as many as any other side has accrued in the division so far this season. Nonetheless, their batting colleagues’s shortcomings have denied Kent’s bowlers many opportunities to bowl their side to victory in the opposition’s second inning, leaving the county with just three wins and placed second from bottom in the table. As with the run-scoring list, it is a Lancashire player that tops the Division Two wicket-taker list, albeit on equal footing with Derbyshire’s Mark Footitt. Kyle Jarvis’s 62 wickets have come at 24.73 runs apiece, and he is one of six Lancashire bowlers with a Championship average under 30 (minimum 15 wickets). The presence of two spinners – Simon Kerrigan and Arron Lilley – in that sextet hints at the fact that, unlike their counterparts this week, Lancashire’s bowlers have had plenty of runs to play with as they have pushed for victories in four-day cricket this season. 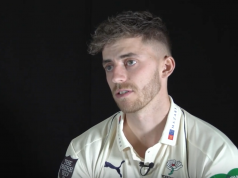 The second highest run-scorer in Division Two this year, Sam Northeast has reached 50 on seven occasions in the Championship this season but is yet to reach a hundred. The pain of a difficult season for the Kent captain would be soothed by a long-overdue century. Whilst Ashwell Prince’s batting has deservedly attracted most of the plaudits this season, Karl Brown has consistently provided a solid platform at the top of the order for Lancashire to build upon. A first Championship hundred in over four years in the last round of matches suggests the 27-year-old from Bolton is set for a strong end to the campaign. Sam Billings is away on England duty, with Ryan Davies set to take the gloves for Kent. Matt Coles and Darren Stevens return to the four-day squad after being rested for Kent’s last fixture against Derbyshire. Kent squad: Sam Northeast (c), Daniel Bell-Drummond, Rob Key, Joe Denly, Ben Harmison, Darren Stevens, Fabian Cowdrey, Ryan Davies (wk), Calum Haggett, Matt Coles, James Tredwell, Matt Hunn. Kent’s batsmen will be relieved at the absence of Ryan Jarvis from the Lancashire line-up. The Zimbabwean will miss the rest of the season after breaking a hand in a warm up before Lancashire’s semi-final on Saturday. James Faulkner is another casualty from Finals Day and having dislocated a finger in the final versus Northants will play no further part in Lancashire’s season. Lancashire squad: Steven Croft (c), Tom Bailey, Karl Brown, Glen Chapple, Jordan Clark, Alex Davies (wk), Haseeb Hameed, Simon Kerrigan, Toby Lester, Arron Lilley, Alviro Petersen, Luke Procter, Ashwell Prince. Sunny spells punctuated by showers. Date: 1st – 4th September 2015. Ground: The Spitfire Ground, St. Lawrence, Canterbury. Umpires: Neil Bainton & Graham Lloyd. Odds (SkyBet): Kent 7/4, Lancashire 2/5.